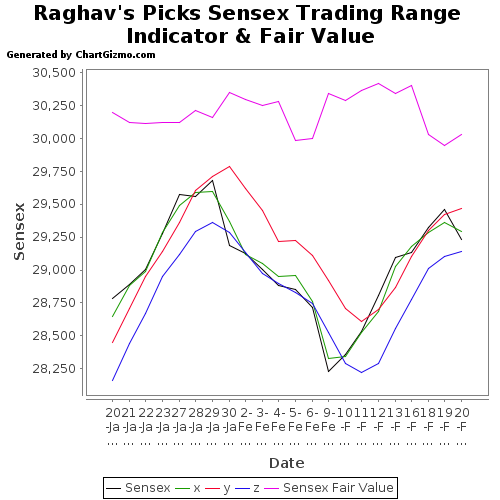 Inspite of Friday's fall, the outlook continues to be bullish in the near-term. 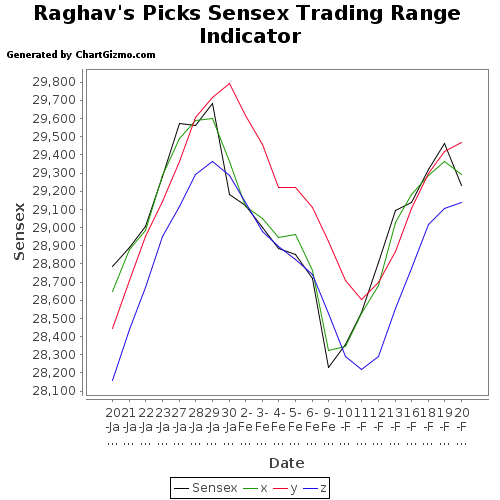 This bullish outlook will change only with a close below a 29000. 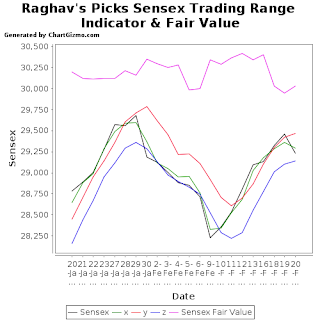 With the F&O expiry and trading on the Budget day, its going to be a long trading week this time. 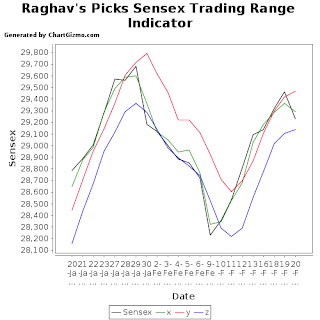 Buy aggressively on dips, with a near term target of 30000 and a closing stop loss below 29000.